I’ve done four warriors this year and each one has been as much fun as the last! 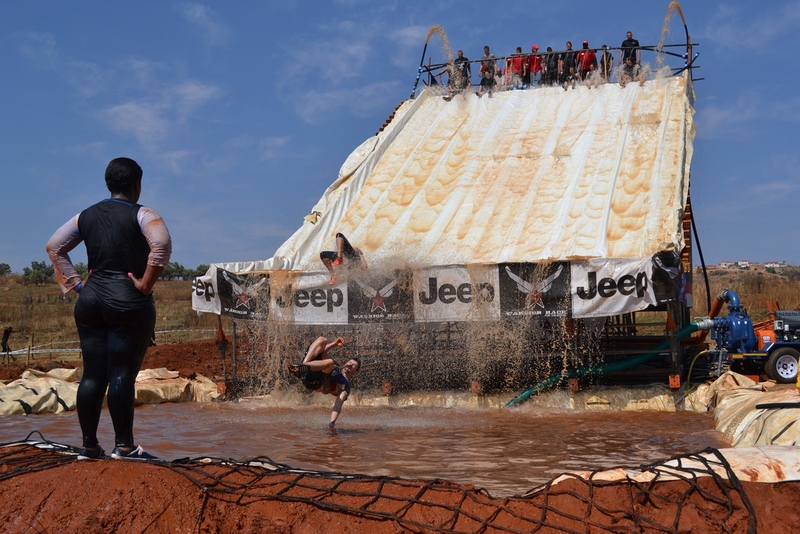 We only have one more locally in Gauteng this year and we’ll definitely be doing it without a doubt! We’ve stuck with the rookie courses so far as we have been roping in friends and family members each time to give it a go. This always makes it a lot more fun! 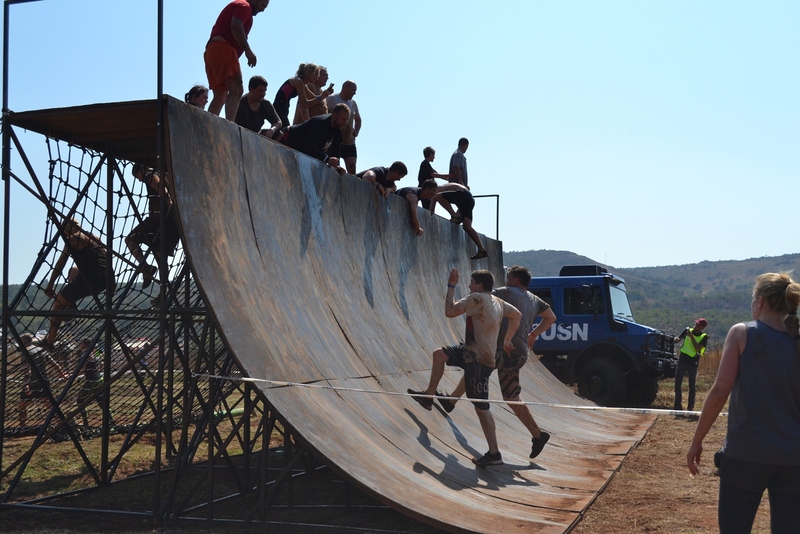 It’s a race where you just want to make sure your team finishes, you complete each obstacle and at the end, your time is a bonus! Well for us it is, for the Elite and Commando competitors it is of course a very different story! Those that compete in the Elite category are magnificent athletes, as it is a test on every muscle in your body as the course is a lot longer, with more obstacles making it more taxing on the body! In saying that each event is a different course and thus a completely different challenge and experience. 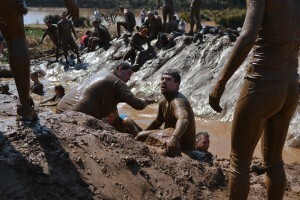 What’s great about the Warrior Races is the sense of team work and comradery. If you are competing in a team you have to finish within a minute of each other, making sure that the team sticks together and helps each other through each challenge. There is a great sense of accomplishment when you do finish as a team, especially having helped your team make it through to the finish line. 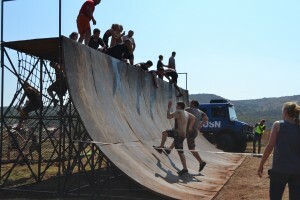 The obstacles are a lot of fun to do, some of course more of a challenge than others and they test endurance, strength or just commitment but mostly they are just a lot of fun to get through! We all have our own strengths which we use as a means of getting through each challenge by involving each other in team work. My wife, Taryn and I along with a few of our friends are keen to up the ante next year and do Commando. However, for the final event of the year, we will compete and finish with a few friends we originally started this with, in the Rookie category. By the first race of 2016 we will be ready and look forward to the good test of the 10kms course! We are always keen to push ourselves further and push to new levels. The last one we did was at Hobby Park in Krugersdorp. We had a nice group together with a Warrior newbie adding to the challenge! 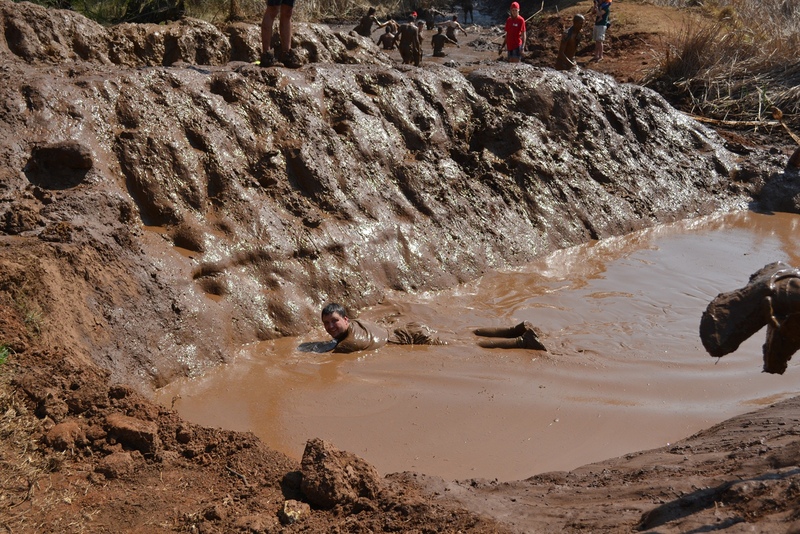 What is great is that even though you aren’t massively fit you can compete and complete the course with your team. We have seen people that hate the outdoors, getting dirty, any physical activity etc. 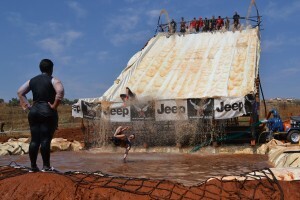 love the warrior race and that are what it’s all about. It’s about challenging yourself and having people alongside you makes the teamwork element of things fantastic. It’s a challenge, it’s a workout, but it’s unique, fun and leaves you not only with the bragging rights of saying I did it but an adventurous experience and amazing memories! Nothing builds friendships like being in the mud monster together! The next race is on the 10th and 11th of October in Cape Town at Meerendal, and the final Gauteng of the year will be on the 21st and 22nd of November.